by Frances Lennard, Senior lecturer. 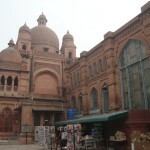 I have just returned from a visit to Lahore in Pakistan – although it was just a short trip, it was a great privilege to get an insight into the heritage sector in the country. 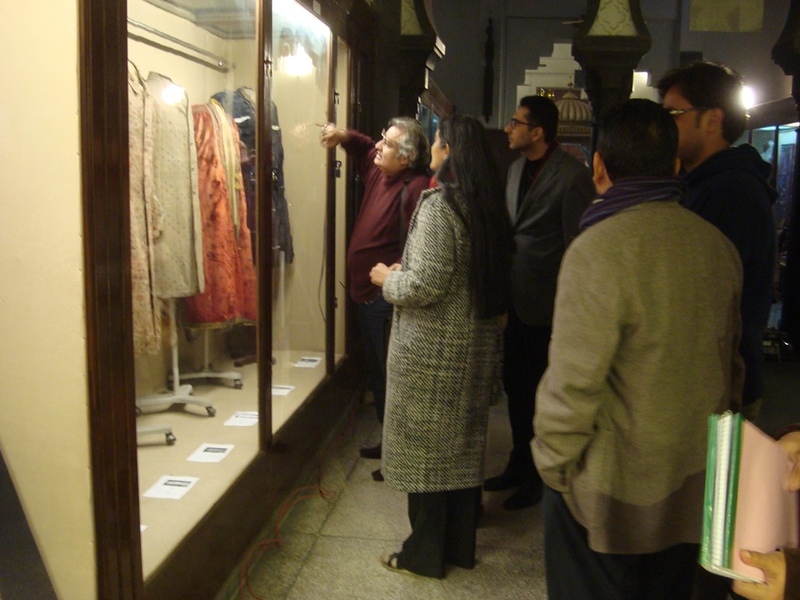 I took part in a workshop on curating and conserving textile collections which was part of a research project funded by the British Council Pakistan, led by Professor Sandra Kemp, Victoria and Albert Museum in the UK. 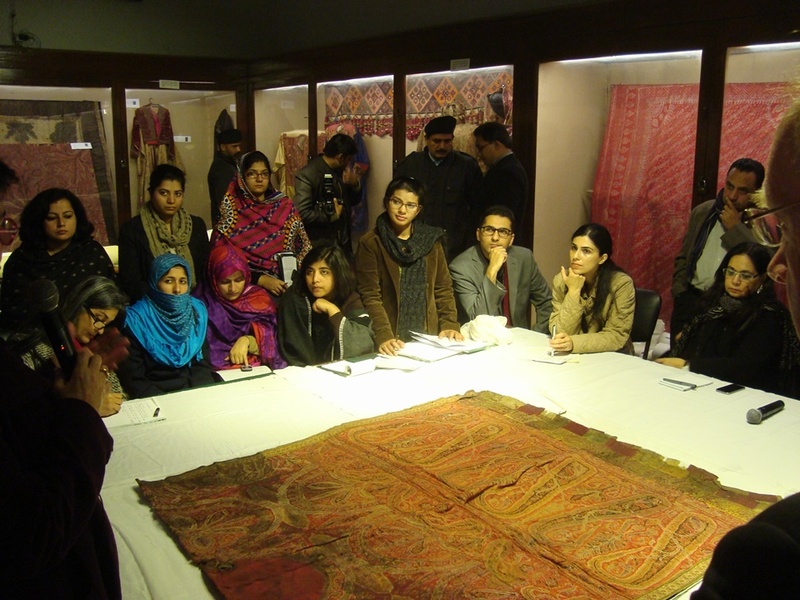 The workshop was held at Lahore Museum (in the feature image) with thanks to the Director, Sumaira Samad, and was attended by staff from the museum and textile specialists from other museums in Pakistan. 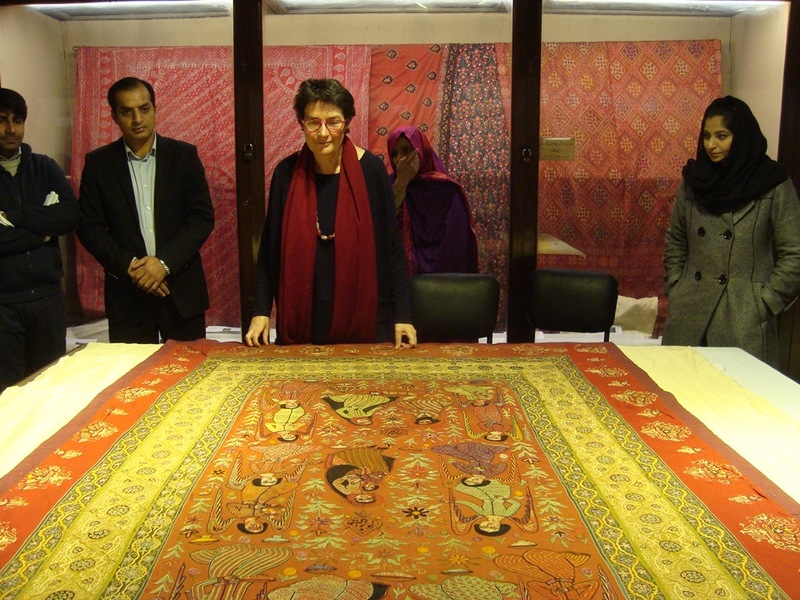 It was led by Rosemary Crill, Senior Curator in the Asian Department at the V&A, and myself. Rosemary gave a case study of the steps involved in putting on the recent Fabric of India exhibition at the V&A, then we discussed a selection of textiles from the museum with the participants, from both a curatorial and a conservation point of view. My presentation focused on preventive conservation and the best ways of avoiding damage to collections, particularly the importance of limiting both light levels and the length of time textiles are exhibited. We finished by looking at the textiles on display in the museum and discussing different approaches to creating themed presentations and writing labels, and to identifying causes of damage to the collection and considering how to mitigate them. The participants were very enthusiastic and made a great contribution to the day’s discussions. 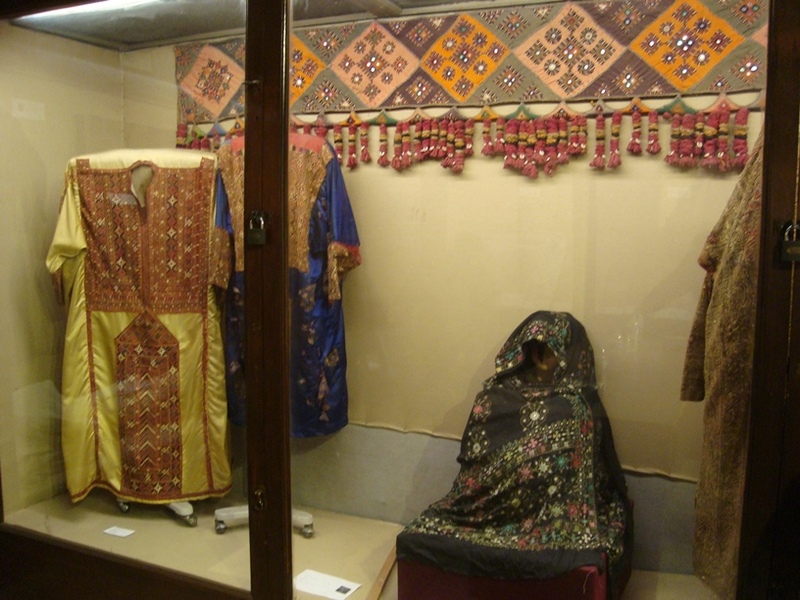 Participants discussing textiles on display. The workshop was one outcome of the preparations for an exhibition to be held in 2017 which will focus on the legacy of John Lockwood Kipling, father of Rudyard Kipling and the first curator of Lahore Museum and principal of its associated art school, the Mayo School of Art. The Kipling exhibition is being researched by V&A staff, Professor Sandra Kemp, Senior Research Fellow, and curated by Julius Bryant, Keeper of the Word and Image Department, in partnership with the Bard Graduate Center in New York. Kipling was influential in promoting traditional craft skills in India and the exhibition will examine three collections with which he was involved, the then South Kensington Museum, Lahore Museum and Bombay Museum. I was fortunate to be able to attend a symposium organised by Sandra Kemp while I was in Lahore, at what is now the National College of Arts. It included contributions from both V&A staff and researchers in Pakistan, and included much impassioned debate on the place of Lockwood Kipling in the development of Indian design and craft skills. I would like to thank the British Council for supporting my visit and for making us so welcome in Lahore and the V&A staff, particularly Sandra Kemp, for organising the trip.